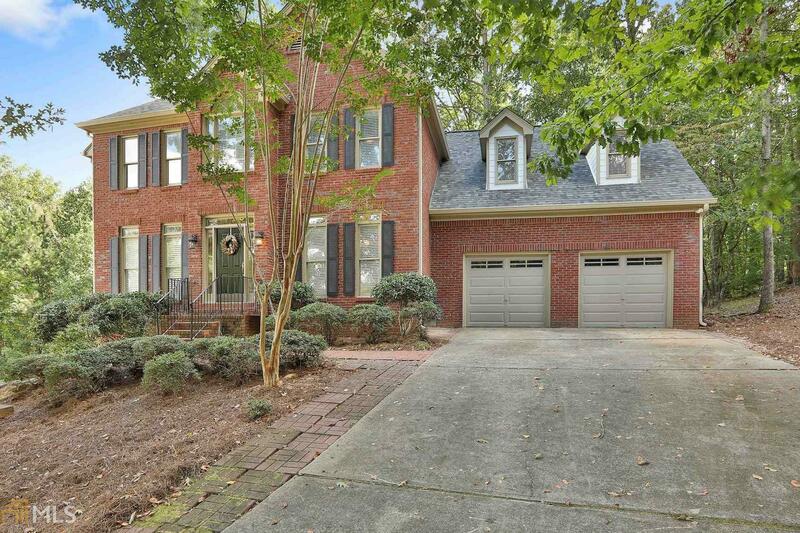 Awesome BRICK 2-story home in the Kedron area! **Freshly painted inside and out, new gutters, and newer roof** Perfectly situated on a cul-de-sac lot that backs up to wooded green space. Foyer entry welcomes you inside where you&apos;ll note the hardwood floors on the main level, Formal Dining Room, Formal Living Room, and the Family Room with a fireplace. The Kitchen offers granite countertops and ALL appliances. Upstairs are 4 bedrooms, all with NEW CARPET! The Master Bedroom features trey ceilings plus a master bath with NEW TILE floor, double sink vanity, separate shower & tub, and a roomy closet. The partially finished basement offers 2 finished rooms, a full bathroom and plentiful storage space. Rear deck to enjoy the view! AHS Home Warranty!! Directions: Hwy 74 To Kedron Drive. Follow To Stoneacre Neighborhood. Turn Into Stoneacre Then Take Right Onto Stoneacre Ct. Home In Cul-De-Sac On The Left.